Susan Kaye Quinn has a winner on her hands with The Legacy Human. It is compelling, exciting, and a fine example of intelligent fiction. 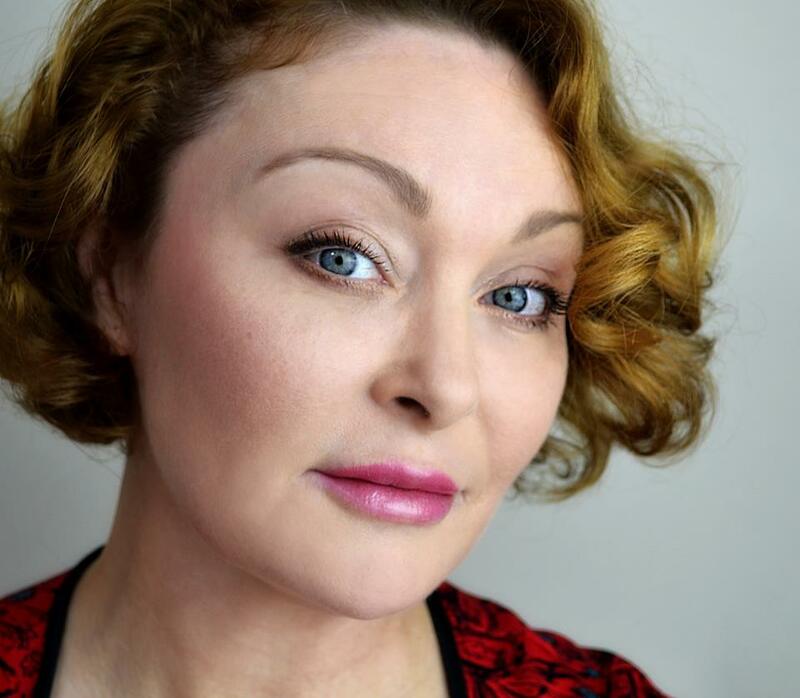 Susan doesn’t dumb it down for her audience, instead trusting her readers to challenge their ideas of what it means to be human as the story unfolds. If the next books in the Singularity series are anything like this book, I can easily see teenagers swapping The Hunger Games or the Divergent Series for her books. In a heartbeat. Our hero is a 17-year-old artist named Eli, who craves one thing — to ascend. Eli is a Legacy Human, kept because of his genetic code. Once he ascends, he can join the elite group on the planet, ones that don’t age because their consciousness now inhabit bodies of metal. And, his ascension will bring his mother along with him, thereby curing her of her debilitating sickness. Unfortunately for Eli, that ascension can only come after he competes at the Olympics — an event not known for sports in the future, rather for the arts, such as writing, dancing, and painting. Eli isn’t good enough on his own to compete and win at the Olympics, until he goes into his “fugue” state. One painting done under these conditions catches the eye of one Ascender, Marcus, who sponsors Eli at the games. Once Eli and his friend Cyrus get to the Olympics, they find the competition deadly fierce, but not always between the competitors. The Ascenders themselves have their own political games to play, and the Legacy Humans are just pawns in their eternal games. They also meet competitors who bring out the best in Eli — a dancer, and a writer who both challenge his way of thinking. The world suddenly expands for Eli, all while it seems to close in around him. What does it mean to be human? What does it mean to have a soul? Can a machine possess a soul? Eli struggles to answer these questions, all while striving to figure out his own abilities leading up to the climax of the competition. There are secrets at play, many of which Eli doesn’t even know are there, but finding them out could change his life forever. I really enjoyed The Legacy Human. I can see similarities between The Hunger Games and Divergent for sure: the games, the separate groups the teens get placed into, the grand machinations going on behind the scenes. The story has a very intimate feel, focusing on Eli and his role in this world, but the scope is so much larger than he could have possibly imagined. In another way, I really got a Ready Player One feel from this novel as well. There was hope even in the midst of a human dystopia and a lot of other slight ways I could connect RPO to Legacy Human. I would definitely recommend this book to any lover of Young Adult thrillers and look forward to Quinn’s second book in the series. Well done! Note: The Legacy Human will be available for purchase on Monday, March 2. 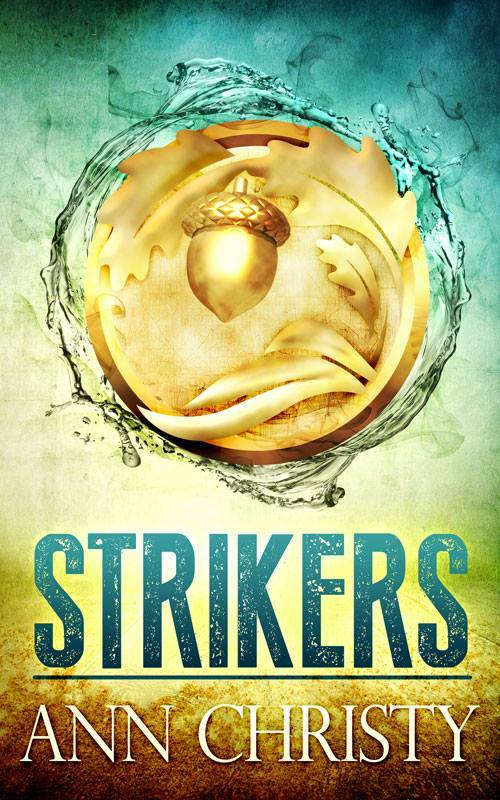 Yesterday I shared a short interview with Ann Christy, author of the new Young Adult novel, Strikers. Today, I present a review of that book. Ann has written previous novels in Hugh Howey’s world, but she does not shy away from world-building in this tale. In many ways Strikers is a perfect name for Ann Christy’s first work outside of Hugh Howey’s WOOL Universe. Just taking a look at the cover is striking, the bold design pops out and will certainly draw scores of readers from just seeing it next to the other books in the Kindle store. 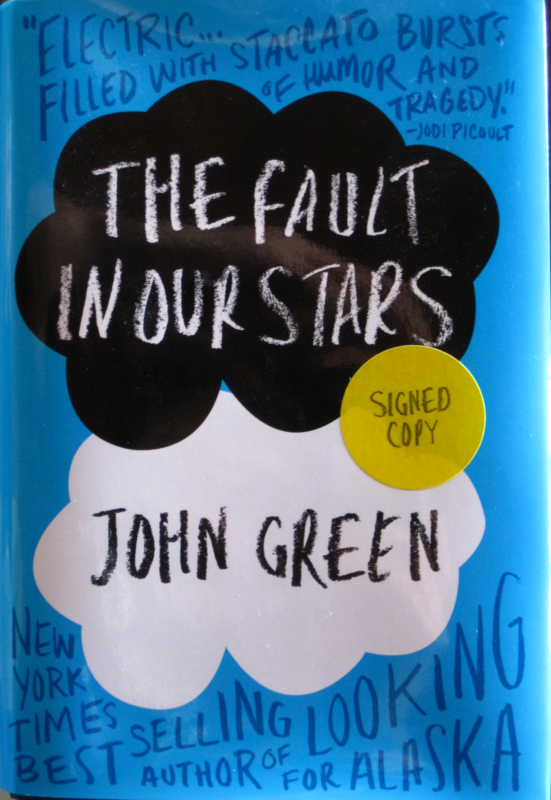 But beyond the cover, Ann’s story is striking as a great work of young adult fiction. For Karas, a free spirit, this means her life is made all the harder than it already was. Life takes a drastic turn when her father, who she’d never ever known, shows up and reveals there is more to life outside of Texas. He comes back along with Maddix, the older brother of her friend Connor. Both are Strikers without any strikes left and Karas and Connor risk everything for their family. Along with Karas, her friends Cassi and Jovan risks their lives to join her on a life-changing journey. Along the way, Karas discovers who she really is, the truth about her father and the life she never knew existed outside of the authoritarian nation of Texas. In this book, Ann Chisty does a fabulous job of world-building, creating a realistic dystopian world where Karas and her friends find out what they are really made of. Her characters are very believable and although she does an admirable job tying up storylines by the end of the story, there are plenty of seeds and avenues to explore in future tales in her Striker Universe. I enjoyed reading it far more than a lot of dystopian young adult books on the market today and I feel she really tapped into the emotion that fuels much of the young adult fiction market these days. Well done, Ann. I enjoyed Strikers and I know many others will as well. Ms. Graham is wrong. I don’t know anything about her; the Slate biography page about her only says she is a writer from New Hampshire. But, I am not embarrassed to read Young Adult, nor should anyone else feel that way. You can certainly make arguments about the quality of some Young Adult books that have been overhyped (I stopped reading the Twilight series after the second book and my dislike for the third book of the Divergent series is well-known among my friends). However, what harms Young Adult books is also what makes them great. But I remember, when I was a young adult, being desperate to earn my way into the adult stacks; I wouldn’t have wanted to live in a world where all the adults were camped out in mine. How pretentious. That teenagers need to aspire to read something besides what they have. When I was a teenager, no one was telling me what I could and couldn’t read — I wasn’t desperate to “earn my way into the adult stacks,” because I could already go there and read books from there already. I wasn’t clamoring to read books by the Bronte sister. I did read “adult” books before I had my driver’s license and you know what? I will never read a Gore Vidal book again after a failed attempt when I was in high school. His Lincoln may have been the worst reading experience of my life. I certainly read non-Young Adult books now, but most of the books I do read have the “passion” in common. Adolescents think with their heart, not with their head. As a high school teacher, this is both the best and worst thing about them. If you know how to communicate with teenagers, you can earn their trust and loyalty, but when you betray that trust, it is almost impossible to gain back. To think you’ve moved on and won’t ever read a Young Adult book again, does NOT mean everyone is like you. I certainly hope people have varied tastes. She specifically mentions the books The Westing Game and Tuck Everlasting and that she has no desire to go back and re-read them. I have a confession to make. Last year, I went back and re-read The Westing Game. I remembered the feelings I had in junior high when I read it and wanted to re-experience those feelings, even in a small way. It doesn’t detract from my adult-ness. It doesn’t mean I regret growing up and want to escape my job and responsibilities. It simply meant I loved it and wanted to find out if it still held up, all these years later. I also re-read Tuck back about four or five years ago just to re-experience the same feelings. I have another confession to make. I don’t think I’m strong enough to re-read The Bridge to Terebithia. That book wrecked me as a kid. I read it when I was in fourth or fifth grade and while I loved it, there are a lot of childhood feelings I’m afraid to encounter again. Just because of this article, I think I may have to challenge myself to read it again. And that’s the thing. The passion that is inherent about so many of these books is what makes them so great. Naturally most people lose that passion and emotion when they reach a certain age. Do they then move on to James Joyce and Hemingway? Most people stop reading. Would I prefer people read, even it if has the label of “Young Adult?” Yes. Yes, I would. One book isn’t good enough? Try Feed by M.T. Anderson, The Giver by Lois Lowry, The Book Thief by Markus Zuzak, and I haven’t even mentioned Harry Potter or Katniss Everdeen. There are deep thoughts in each of these books. There are aspects that push people to think differently about the world around them. They are excellent books and it doesn’t take an “adult” label to be classified as such. Ultimately, I feel sorry for Ms. Graham. If she wasn’t allowed to read adult books as a teenager, perhaps that is why she feels the way she does today. Another thing about teenagers is they want what they can’t have. If that was the “forbidden fruit” of her childhood, maybe that is why she grasps so tightly to it today. Read what you want. If it doesn’t fit in a specific genre, who cares? Read. Another great view on this by Lauren Davis from io9. A few weeks ago, I wrote a post about bullying, and decided to share a fictional story that is very autobiographical in many respects. I haven’t posted fiction here before, but I thought you guys might enjoy this short story. Standing at the top of the three-point line, Scott kicked his right foot just a bit. It was just eight inches out in front of the left foot, but it was enough. The thought of what he was doing – what might actually happen, thrilled and scared him at the same time. Scott waited in the middle of the junior high basketball court, holding one of the burnt orange leather balls, which bounced all around him. He wasn’t dressed to play – no one was, really. It was a Friday night and Scott had begrudgingly decided to attend Jackson Junior High Jam Night – a dance and activity night rolled into one event held once every couple months. The last time – the only time – Scott had attended Jam Night, he’d stood against the wall in the cafeteria, too awkward and shy to find his way onto the dance floor. Definitely too uncoordinated to show off the dance moves he’d left in his basement at home. Some friends of his – at least he hoped they were his friends – had encouraged Scott to come to the Jam Night. With his older sister hosting a slumber party, Scott ultimately chose the least awkward choice and had his mom drop him off at the school’s entrance just before 7 p.m.
As his mother drove away, Scott had the sudden urge to run after the family minivan, get back in, and take his lumps from the high school aged girls back at home. But Scott resisted, putting one foot in front of the other as the front doors of the junior high loomed in front of him. The bass of the music was already thrumming through Scott even with the doors closed to the school’s cafeteria. Jump by Kriss Kross came blaring through the cracks between the doors and as if to emphasize the tune, Scott saw two classmates emerge from the cafeteria into the hallway with their jeans on backwards. To calm his nerves, Scott found the snack table, picking up a few cookies and a cup of red punch. Quickly turning around, Scott spilled some of the red fruit punch on his jeans. Great. Here five minutes and I’m already embarrassing myself. He looked up from the red splotches on the front of his jeans and sees Garrett walking in the front door. Sitting next to Garrett every day in band led to a natural friendship, but Scott was still a little wary of almost everyone in the school. He’d only been here four months so far after years in a previous state. “Hi Garrett,” Scott muttered before turning his attention back to his pants. The two boys headed to the nearest bathroom and did their best to clean the red spots off Scott’s jeans. Not only did Garrett’s solution not work, it only made the stains worse, giving Scott the appearance of wetting himself. “Great. I didn’t even want to come – now I’m going to look stupid,” Scott said with resignation. Scott slid down the tile wall opposite the sinks, more than willing to stay in the bathroom the rest of the evening. Garrett stood back, leaning against the edge of the porcelain sink. The look on his face is blank at first, but soon he has a quizzical look before he heads to the bathroom door. “Hold on, Scott. I’ll be right back,” Garrett said, bursting out of the restroom. Less than a minute later, Garrett was back, but his jeans were now spotted with red splotches of their own – matching the red fruit punch Scott had initially spilled on his own jeans. Without a word, Garrett went back to the sink, and splashed a handful of water on the stained jeans. “There. If you were planning on being the best dressed here tonight, you’ve got another thing coming,” Garrett said to Scott with a mischievous smile. That was all it took to get Scott up off the bathroom floor and out among his peers. The school, normally quiet as lessons and lectures went on behind the closed classroom doors, was buzzing with the electricity of young teens uninhibited with a weekend ahead of them. It was a chance to show off for your friends and classmates and to possibly make some new friends in the process. Scott and Garrett went around the edges of the cafeteria, eventually ditching out on the dance floor and the girls who primarily inhabited it. They found the game room with a few dozen adolescents playing Chess, Checkers, Clue, Sorry! and Monopoly among others. All the tables were filled with other classmates waiting to play, so Scott and Garrett kept wandering. That wandering eventually led them to the school’s basketball court, which was a chaotic mess of gangly teens trying to make moves like Michael Jordan or Allen Iverson. Scott wasn’t gifted athletically, but Garrett liked to play, so the two grabbed a ball and took to a smaller half-court towards the back of the gym. Finally, Scott was enjoying himself as he made a few baskets with Garrett gathering rebounds. As the two continued to play, others filtered over and eventually more than 10 were on the court, which meant substitutions, putting Scott on the sidelines. He couldn’t blame Garrett. After all, Scott just couldn’t compete in sports like his new-found friend could. With no end in sight to the game, Scott grabbed a nearby ball and went to another half-court on the other side of the large gym. Scott went in for a few lay-ups, working up a little bit of a sweat in the process and then the ball was knocked out of his hands. Randy Weber. The one kid in the school that wouldn’t let up on Scott even though Scott was far from a new kid after four months. He was easy pickings in the first few weeks of school after transferring from the western part of the United States, but had hoped that after four months kids like Randy would let up. He remembered the first time he met Randy in English class. Scott saw the kid’s nameplate on his desk and introduced himself. “My name is Scott and you are Randy Weber?” Scott asked, pronouncing the boy’s last name like Wee-ber. Ever since that day, Scott tried to keep his distance from Randy, but they had four classes together. Keeping your distance was difficult when you had to sit near your tormentor every day. At Jam Night in the gymnasium, Scott didn’t know what to do, so he simply gathered up the basketball and went back for a few three-pointers as Randy kept walking. But, after a few three-point attempts, it was clear Randy wasn’t going to leave Scott alone when he swatted the ball out of Scott’s hands after a miss and chucked it across the gym with a maniacal laugh. Once again, Scott took a loose ball nearby and went back to the top of the key. Out of the corner of his eye, he found Randy Weber running towards him as he prepared to shoot. Instead of shooting, he stuck out his foot and purposefully tripped the bully. Down Randy went, face first on the slick gym floor, skidding for a bit. The entire gymnasium seemed to stop; all the action on the courts froze as Randy slowly stood back up and turned around. His nose was bleeding, a small trickle which had already reached his upper lip. He closed the ground between himself and Scott quickly, or so it seemed to Scott who was incapable of movement during the entire process. He couldn’t believe what he’d done, even if it was just a few inches of his foot. “You’re gonna be sorry you did that, fatty,” Randy said, his mouth just inches from Scott’s. Without waiting for a response, Randy balled up his right hand and sucker-punched Scott in the gut. Immediately, Scott crumpled on the ground, never before hit with the force he’d suffered at Randy’s hand or hit with the humiliation Randy had hit him with, all at the same time. He closed his eyes, just hoping that Randy would go away – that the single punch would be enough to sate the beast within. Before he knew it, however, another voice came through. Scott opened his left eye to see what was going on above him. Garrett had abandoned the pick-up game on the other court and was now between him and Randy. The sweat Garrett had accumulated over the past 20 minutes on the basketball court, shone on his brow like a helmet on a medieval knight. Randy reached over with both hands and shoved Garrett, hoping Scott’s prone figure behind him would trip him up. Scott scrambled out of the way, allowing Garrett to stumble without interference. Scott got back on his feet and Garrett joins him as they stand against Randy. “Just go away…find someone else to pick on, Randy,” Garrett said, putting his arm around Scott’s shoulders. Randy looked around and found no allies. Backing up, he picked up a loose ball and threw it overhand. As it flew over the head of the two friends, the bully turned and walked out of the gym. Garrett turned back to Scott. Somehow he knew Scott didn’t want to talk about it, but instead did the best thing he could. “Come on – let’s go play ball,” Garrett said, leading Scott back to the court and starting a new game with Scott as his first choice.